Mega-City One is gone. Everything is a desolate wasteland. Nothing is as it was. Nothing, that is, except for Judge Dredd! 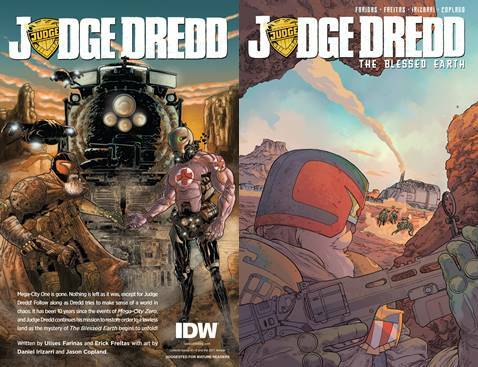 It has been 10 years since the events of Mega-City Zero, and Judge Dredd continues his mission to restore order to a lawless land. The mystery of The Blessed Earth begins to unfold here! Collects issues #1 - 4 and the 2017 Annual.